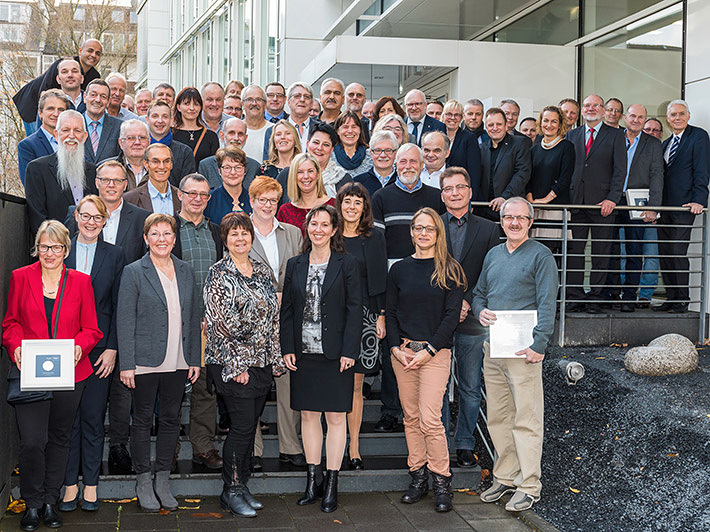 This year, 75 employees of GROHE from the different German locations celebrated their 25th and 40th GROHE anniversary. 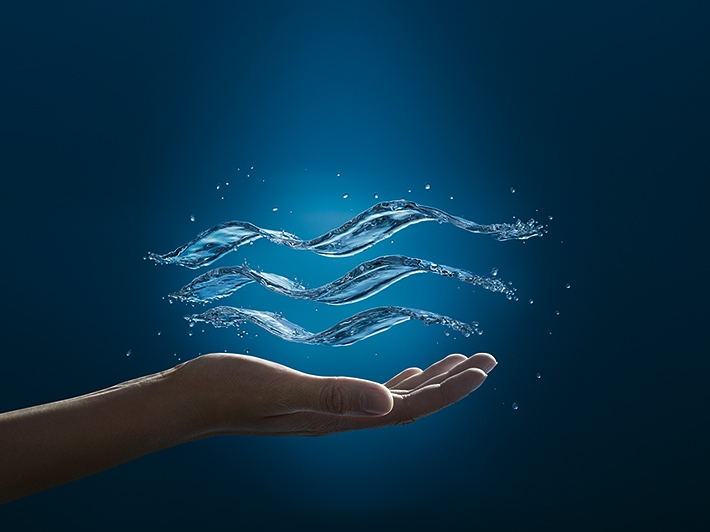 To pay tribute for this and say "Thank you", GROHE invited them to Dusseldorf on November 24th. These employees are dedicated not only to the company, but also to each other. Some of them have known each other since the beginning of their training and are now celebrating their 25th anniversary together (see picture). 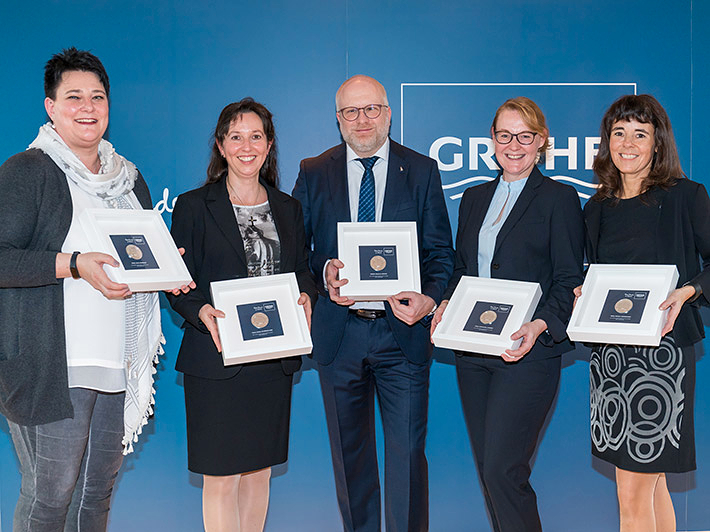 Michael Mager, Executive Director HR & Organisation, welcomed the employees to the GROHE store at noon and, together with their supervisors and the workers’ council chairpersons, presented them with a silver medal for 25 years or gold for 40 years of affiliation with GROHE. In the evening, GROHE invited them to the exclusive variety show "Crazy X-Mas" at the Apollo Theatre.